Located close to the geographical centre of Celtic Scotland is to be found a remarkable yew tree which is currently believed to be around 5,000 years of age, thus dating its origins to about 3,000 B. C. This yew is to be found in Fortingall, Perthshire, which lies at the entrance or portal to Glen Lyon, the longest and arguably the most spectacular glen in Scotland. When the 18th century traveller and naturalist Thomas Pennant (1726 – 1798) visited Fortingall, he reported that the girth of this age old yew was fifty six and a half feet. One can but wonder why this extraordinarily aged yew tree can still be seen to be thriving at the present time. In a land which is permeated with an ancient Celtic mythos relating to fairy realms and other worldly devic entities, such an elderly yew tree would have been highly venerated during the remote ages of past antiquity. Indeed, it has been said that Beltane fires celebrating the old Mayday festival were at one time lit at this site. Moreover, this ancient yew may have been 3,000 years old when, according to a local oral tradition, Pontius Pilate was born at Fortingall, which translates from the gaelic placename ‘Feart-nan-Gall’ as the ‘Stronghold of the Strangers’. 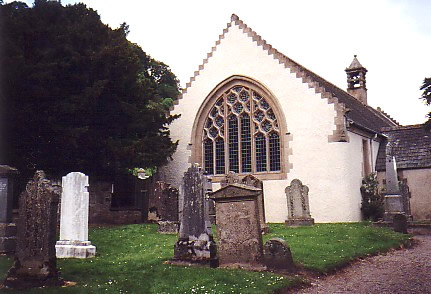 Nowhere else in Scotland, or for that matter in the British Isles, has an oral tradition and association with the birth of Pontius Pilate; so why should the tiny and obscure hamlet of Fortingall lay claim to this tradition, unless there is an intrinsic element of truth in what would otherwise be deemed as an audacious presupposition. The yew is a primordial tree and it is believed to date back for at least two hundred million years, which considerably antedates the era of the human race. It is no wonder that from time immemorial the eternal yew appears to have been seen as the immortal tree of life and held with sacred reverence throughout the ages. According to ancient lore it would appear that the yew was seen as an arcane repository, i. e. a tree of knowledge. It has also been noted that yew trees were often associated with ancient hill forts and, true to form, on an elevated position close by the Fortingall Yew is to be found the remains of an old hill fort called Dun Geal which translates from the gaelic as ‘the white fort’. 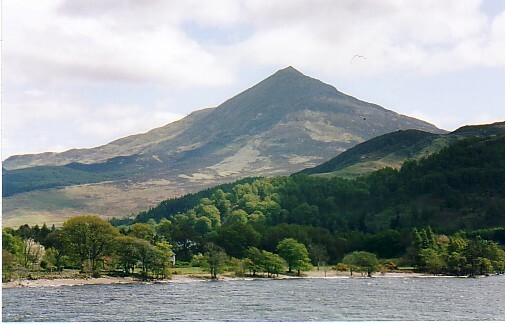 At the time of Christ, Dun Geal was the residence of the Caledonian King, Metallanus, of whom local tradition claims Pontius Pilate was a relative. Aerial photograph of Fortingall village showing an apparent vallum or enclosure centred on the ancient yew tree. 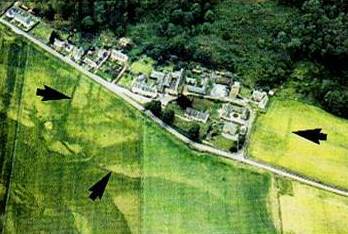 Aerial photographs of Fortingall reveal a marking in the landscape which is believed to indicate the enclosure or vallum of an early Christian monastic site. This monastic settlement appears to have been centered around the Fortingall Yew tree. Such is the reputation of this remarkable Yew that in 1993 a sapling from this archaic tree was planted in Glastonbury Abbey, while concurrently monks from the Tibetan Buddhist monastery, Samye Ling, in Dumfriesshire, Scotland, planted another sapling on Holy Island, off the coast of Arran, Scotland. More recently cuttings were taken from the Fortingall Yew to be grown by the Forestry Commission at Roslin, another historical sacred site in Scotland. These yew cuttings will eventually be planted around the country at such places as the arboretum at Scone Palace. Interestingly, Scone was at one time home to the famous “Stone of Destiny” which was central to the Coronation ceremony of the old Scottish Kings. There has been a traditional association with the mythos of the sacred yew and the natural philosophy of the Celtic Druid Magi. “Without doubt the yew stood for sacred mystery in the Druid tradition; yews were planted systematically about the places, often wells, that held sacred truths, perhaps to awe votaries as much as because the trees themselves held sacred properties…. In Druid tree language it stood for the Ovate grade, one who specialized in learning concerning the mysteries.” (The Book of Druidry by Ross Nichols, 1990). In both the Druidic tradition of reincarnation, and the later Christian doctrine of the resurrection, the yew was viewed as a natural emblem of everlasting life. There is a tradition that the Cross of Christ was a yew tree probably because of its symbolism of immortality. This may explain the following observation: “Although the Yew was planted on temple sites, and was a survival of cultus arborum (tree worship) yet, strange to say, it was never damaged, but was adopted by the Christians as a holy symbol.” (The Church Yew & Immortality by Vaughan Cornish). Furthermore, the yew also figures in the folklore of the gypsies who believe that the planting of a yew near one’s home provides protection. Interestingly, about a century ago gypsies were found to be living in the hollow churchyard yew at Leeds in the english county of Kent. Legend claims that the Fortingall Yew marks the actual geographic centre of Scotland and its heart or ‘axis mundi’, although it is possible that geographically the real axis mundi is located on Schiehallion (“the fairy hill of the Caledonians”), the holy mountain which lies just five miles north of Fortingall. However, there may be a connective node between this sacred yew and the holy mountain to the north of it. In his insightful work At the Centre of the World (1994), John Michell observes: “Every Celtic community, tribe and national federation of tribes had its sacred assembly place of law of justice. These were centrally placed at the mid-point of their territories…. the first thing that was needed by those who created sacred landscapes was to locate the country’s main axis, the preferably north-south line between its two extremities, passing through the centre. It corresponded to the world-tree, the shaman’s pole by which he ascends to the world of spirits, and all other symbols of the universal axis…. Guarding and overlooking the omphalos, generally to the north of it in the direction from which disruptive forces are traditionally supposed to emanate, is found a lone, conical mountain. Its mythological prototype is the mountain at the centre of the world. The chief god of the pantheon resides there, presiding awesomly over the rituals in his sanctuary below.” It is interesting to note the geographical relationship between the conical Schiehallion and the Fortingall Yew tree correlates exactly to this ancient mythos as described by John Michell. Following on from this, Geoffrey Ashe in his work The Ancient Secret (1979) relates that the shaman climbs a pole or tree into the celestial realms: “The main feature of the shaman’s universe is the cosmic centre, a bond or axis connecting earth, heaven and hell. It is often pictured as a tree or a pole holding up the sky. In a trance state, a shaman can travel disembodied from one region to another, climbing the tree into the heavens or following its downward extension. By doing so he can meet and consult the gods.” Commenting on this observation, Dr. Gordon Strachan says: “The pole, axis or tree is in fact the axle of the cosmos which we encountered in our discussion about the holy mountains such as Meru, Olympus, Alborg and Aralu, of which Mount Zion and indeed Mount Sinai were also examples. These, we established, were linked to a prototype in the north which may well have been connected with Stonehenge or other megalithic sites, but which was ultimately identifiable as the celestial North Pole. This now appears to be the same pole, or axis mundi up which the shaman climbed or rather flew in his astral body, to the council of the gods…. the implication is that Ezekiel, Daniel, Enoch and Moses on Sinai, not only had shamanic, out-of-body experiences of the ascent to the divine presence, but also that this was via the axis mundi up to the celestial pole, past the phantasmagoria of the northern lights and through the hole in the apex of the vault of heaven which St. John in Revelation calls an ‘open door’. (Rev. 4:1)”. (Jesus the Master Builder: Druid Mysteries and the Dawn of Christianity, 1998). In this same work Gordon Strachan goes on to say: “The unmistakable implication is also that Jesus was himself the supreme initiate of this experience.” In light of the foregoing one might speculate as to whether Jesus visited the Fortingall Yew during his “lost years” which have gone unrecorded in the Canonical Gospels. As earlier research by this writer suggests, Jesus may indeed have visited ancient Alban, i. e. the Scottish Highlands and Islands. It is known that the yew was often used as a landmark. Writing about straight tracks or ley lines on the landscape, Alfred Watkins in his classic work The Old Straight Track (1925) makes an interesting observation: “There is every reason to surmise that trees were planted in prehistoric times as sighting marks…. 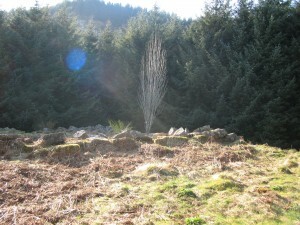 trees are joined with stones, water [wells], mountain-tops, mounds, and fire as objects of ancient reverence and even worship; all these are found as sighting points on the ley.” Notably, a number of telluric ley lines or earth energy currents have been dowsed as passing through Fortingall, thus indicating that a major earth energy vortex may be located here. Could this be another factor in accounting for the specific placement and perhaps longevity of what is reputed to be the oldest tree in Europe? Finally, to quote Sir George Trevelyan: “What magic is there in the ancient yew trees! What is it in them that fires our vision and fills the soul with mystery, touching ageless history? We associate our yew trees with our churchyards…. The great yew trees can be 2,000 years old, or 3,000, or, in some cases, they may reach 4,000 years or more, and our churches were mostly built less than 1,000 years ago. The yews came first, planted on sacred sites known to the Druids. The later church builders were sensitive to the holy places and knew where to build their churches. So let us awaken to the wonder of the yews, planted long before the churches were built, and linked with ancient pre-Christian ritual and mystery.” (The Sacred Yew by Anand Chetan and Diana Brueton, 1994). 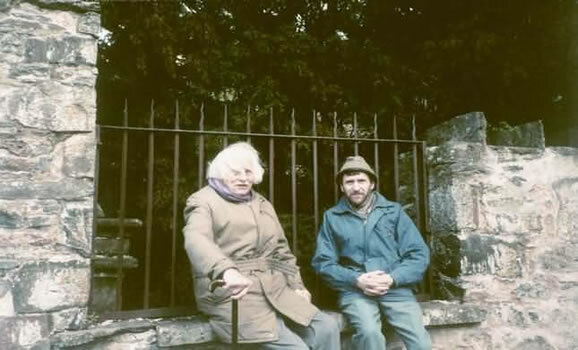 The writer with Sir George Trevelyan at the Fortingall Yew in May 1994. Six months earlier, Sir George planted a sapling from this yew tree in Glastonbury Abbey , England. At the same time monks from the Tibetan Buddhist monastery, Samye Ling, Scotland, planted another sapling from this same yew, on Holy Island off the coast of Arran, Scotland.